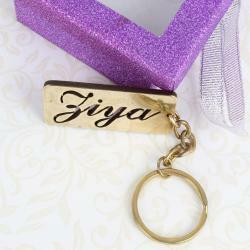 If you love key chains then this personalized one is a must on your bucket list. You can get your name or a word you love transformed in to this fine piece with a pretty cursive handwriting. 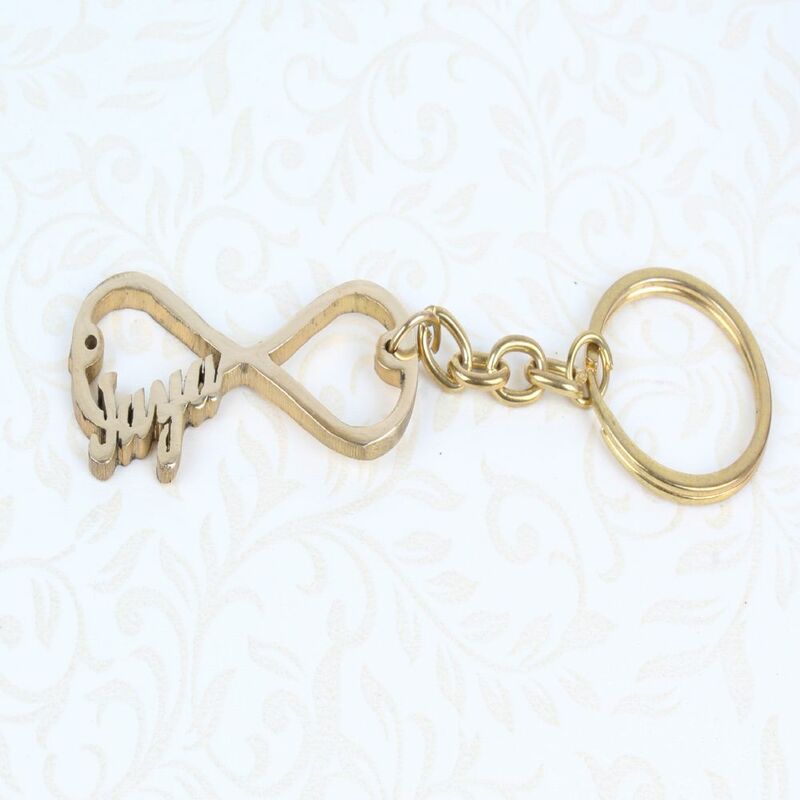 Maximum of 13 letters we do the product Gift it or just wear it yourself! IDEAL GIFT Perfect gift for any occasion for yourself and your loved ones that will surely make a memorable impression. Ideally suited for party as well as casual wear. SKIN FRIENDLY - Nickel free and Lead free as per International Standards. Anti-Allergic and Safe for Skin. QUALITY Made from high and superior quality material for high durability. Intricate high polish creates glamorous reflections and adds a luxurious look. BEAUTY Stylish and Trendy Jewellery and Accessories for Girls and Women. Material Alloy, Available at unbeatable lowest price. This product is a true value for money. Product Care Avoid of contact with water and organic chemicals i.e. perfume sprays. Avoid using velvet boxes and pack them in airtight boxes. After use, wipe the jewellery with soft cotton cloth. 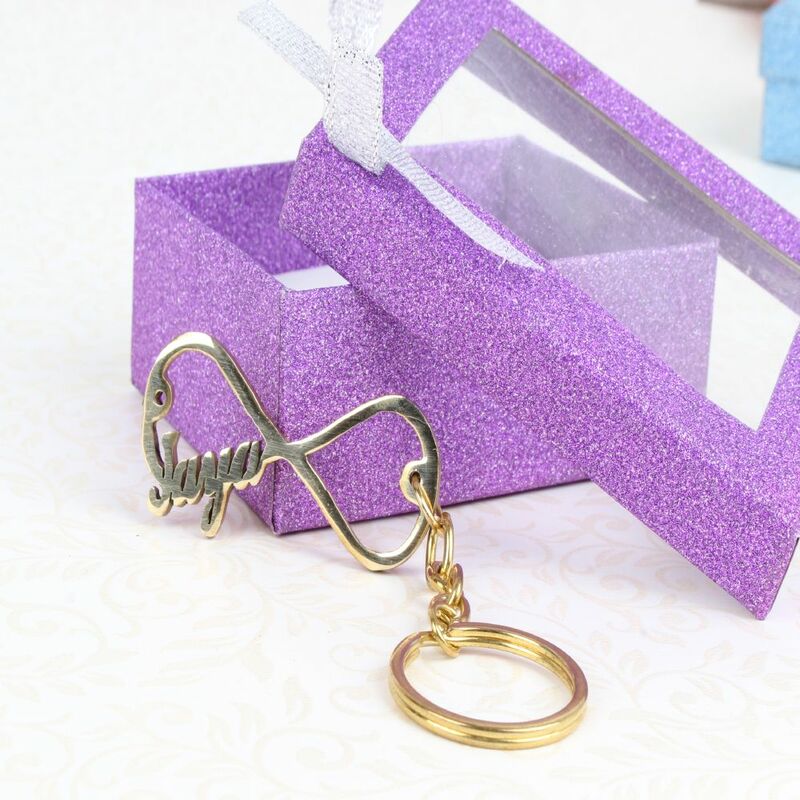 Product Includes : Personal Cursive Infinity Keychain along with a Gift Box.